Why You Shouldn't Be Bothered With How Turmeric Tastes Like? Home > Food Facts > What Does Turmeric Taste Like in Tea and Soup? Turmeric is a root and belongs to the ginger family. Those who haven’t tasted turmeric would always want to know what this miraculous spice tastes like? Is it spicy? Is it bitter or does it have some other taste? So what does turmeric taste like? And how do different foods such as soup, tea, milk taste when turmeric is added to them? Read on to know the answers to all your queries including what does turmeric taste like? What Does Turmeric Powder Taste Like? Turmeric doesn’t have a very pleasant flavor. It is used in food owing to its medicinal benefits and the color which it adds to the food. It has a mildly aromatic scent and tastes slightly bitter. This spice isn’t as strong as other spices. But it also can’t be eaten raw like cloves or cinnamon; in fact, if we add it to soups, curries, milk, and so on, it enhances the taste, color, and nutritional value. It is also used in pickles and gives a nice flavor to it. A few people describe the taste as gingery bitter, earthy, or like a tinge of mustard and horseradish. To make turmeric taste better, it is generally used with other spices or tempered in oil. 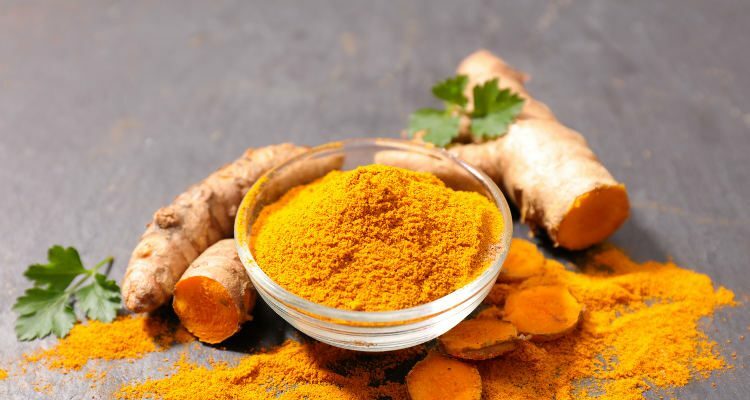 Turmeric Flavor Pairing: What Does Turmeric Taste Good With? As we can’t have turmeric all on its own, it is essential to find what does turmeric taste good with? Turmeric can be added to beans, beef, carrots, and blends well with anise, chilies, citrus, cloves, coconut, chives, cilantro, and coriander. It can also pair well with cumin, curry leaves, dates, fennel, garlic, ginger, nutmeg, figs, fish, onion, paprika, pepper, poultry, rice, root vegetables, seafood, and veal. Some prefer drinking tomato juice or vegetable juice spiced with turmeric powder. It also tastes good when added to a cup of tea. A pinch of turmeric in hot chocolate milk tastes great. The spice gives the drink a punch. What Does Turmeric Tea Taste Like? Having turmeric tea is healthy as it doesn’t have caffeine. Although turmeric may not taste good on its own, it enhances the flavor of many foods. Turmeric tea is soothing and has an appealing taste. You can make turmeric tea in a number of ways. Here’s an easy recipe to make turmeric tea. To one-half cup of orange juice add a teaspoon of turmeric and two tablespoons of honey. Stir well. Drink it in one go. You can have this tea three times a day. What Does Turmeric Taste Like in a Soup? When added to soups and curries, turmeric doesn’t taste bitter. Soup or curries include a number of other ingredients which mask the bitter flavor of turmeric. When used in soups it is just an element of a complex flavor. Adding it to soups will ensure that you get the maximum health benefits of this spice without dealing directly with the original taste. Preheat the oven to 450°F. Crush the garlic cloves. Put the cauliflower florets in a bowl, add crushed garlic, and two tablespoons of olive oil. Stir well to coat each floret. Mix the cumin, turmeric, salt, and crushed red pepper flakes in a bowl and sprinkle the mixture over the florets. Put the cauliflower on a baking sheet and bake for 25-30 minutes. Keep a cup of these baked cauliflower florets aside. Heat a pot and add a tablespoon of oil. Add onions and cook for two to three minutes. Pour in the vegetable broth and add the roasted florets. Bring the mixture to a boil and cook covered for 15 minutes. With a hand blender, blend the mixture. Add salt, coconut milk, and garnish with cilantro and the reserved cauliflower florets. Another healthy way to have turmeric is in form of turmeric milk. But what does turmeric milk taste like? Turmeric milk is creamy and absolutely delicious. To make turmeric milk, just add a teaspoon of turmeric to hot milk or almond milk. You can add a sweetener of choice or may not even add a sweetener. Stir and enjoy. Keeping in mind the ample health benefits of this spice, just forget what turmeric tastes like. Use the above recipes to mask the taste and stay healthy.